New Deals Coming Each Week in May! Throughout the month of May, Stampin’ Up!® is offering you a new deal on our exclusive products every week! Check back here each week in May to find out the latest deal and get up to 40 percent off a selection of incredible products from the 2010-2011 Idea Book & Catalogue. Here's a quick and easy technique to give a bit of a lift to embossing on a card. In the card below I used the Petals-A-Plenty embossing folder on Very Vanilla cardstock put through the Big Shot. Then I lightly sponged the embossing with Pumpkin Pie, Old Olive and Rich Razzleberry inks. The panel is then put on a Pumpkin Pie cardstock base. 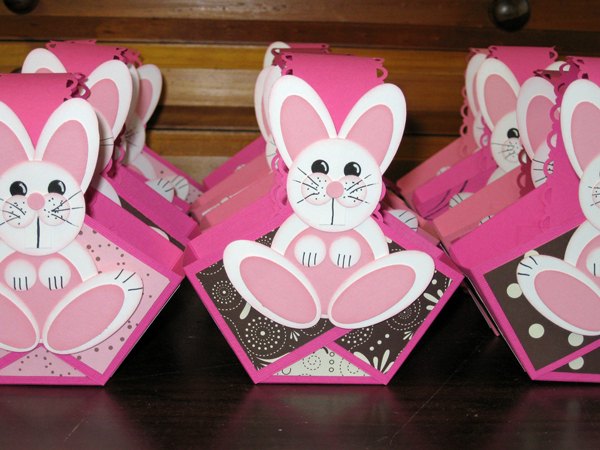 The greeting is stamped with Rich Razzleberry ink on a piece of Very Vanilla cardstock, then punched with the Curly Label Punch. It is then layered on a Piece of Pumpkin Pie cardstock which is punched out with the Decorative Label Punch. 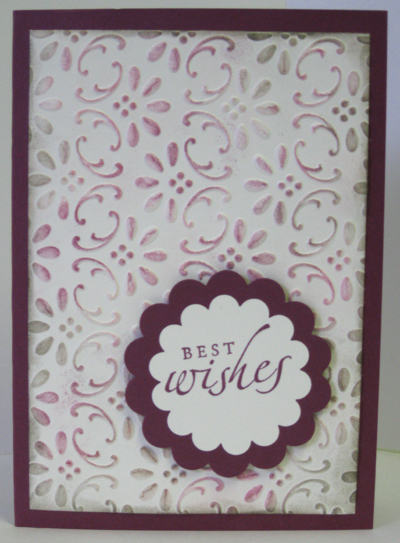 In the card below I used Very Vanilla cardstock in the Finial Press embossing folder, put through the Big Shot. Then I lightly sponged with Pretty in Pink, Rich Razzleberry and Early Espresso ink. The panel is then put on a Rich Razzleberry cardstock base. The greeting is stamped with Rich Razzleberry ink on Very Vanilla and then punched out with the Scallop Circle punch. 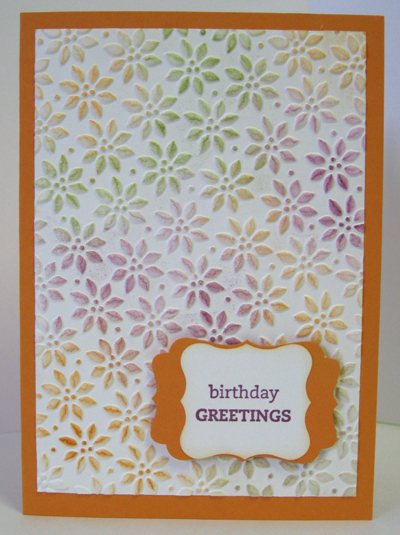 It is then layered onto a piece of Rich Razzleberry cardstock punched out with the Large Scallop Circle punch. Incidentally, the colour combinations I used came straight out of Stampin Up's Colour Coach, for colours that go with Rich Razzleberry. Easter is next weekend, and there's still time to make these cute Easter Bunny baskets. 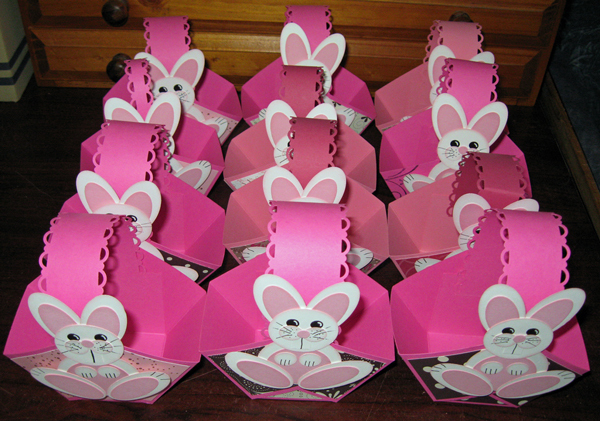 I made these at my stall at the the craft fair and market over the weekend. Each took about 30 minutes to make, and is a good way to use up some old (retired) Designer Series Paper and some retired card stock.